Rising retail price of petrol and diesel prices is unlikely to become a problem for the ruling NDA government in the coming general elections as it seems to have tempered its policy of market-determined retail pricing of petroleum products that were hitherto being revised on a daily basis based on international prices. The move has been necessitated to prevent any consumer outrage that could erupt if there are frequent increases in retail price of petrol and diesel - an upshot in petroleum product prices could have adverse fallout for the ruling BJP during the elections. Sources said that state-owned oil marketing companies (OMCs) have been told by senior government functionaries to keep the daily price movement of the two petroleum products in check between now and end of elections. This could be done by absorbing a portion of the price rise if the increase is consistent in view of global factors. Though OMCs have not been issued any written order on retail prices the government, being its largest shareholder, has exercised its control to make sure that consumers are prevented from paying abnormally higher prices. Data from state-owned oil companies give enough indication to prove that a veiled price control has already made its comeback and petrol and diesel prices have been left unrevised for days in succession. Between January 1 and now, there have been 10 instances when retail prices of petrol and 12 occasions when diesel prices have been left unchanged by OMCs - between two days at a stretch to a week. Oil sector experts said this is impossible given that oil prices change by the minute and hour and there is no question it would remain static for days. In fact, since February 9, there has been a consistent increase in the retail price of the two petroleum products on global cues, but OMCs have held back any increase on six occasions, the longest being for four days between March 5 -8. When contacted, an oil company official said retail prices were not revised on a few days in the last one-month largely because market prices were stable or the increase and decrease were very minimal. "Otherwise, OMCs are free to adjust the prices as per global movements," he said. 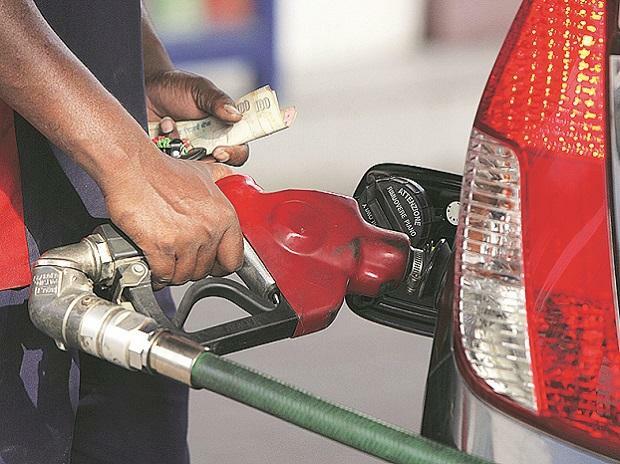 Petrol prices rose 7 paise per litre in Delhi to Rs 72.31 while diesel remained at the earlier level of Rs 67.54 a litre on March 9. The product prices are dependent on global oil and product prices, refinery margins and currency exchange rates, all of which are highly volatile. "There is no question that even under daily price revision mechanism, OMCs have to occasionally oblige and follow instructions coming from the government. This seems true now given how cleverly marketing companies are absorbing marginal losses while keeping petrol and diesel prices insulated from global developments," said a sector analyst who did not wish to be named. An official of an oil marketing company confirmed the practice but could not tell the extent of loss being incurred by them. He agreed that this could continue till the end of general elections. To the advantage of the government, global oil prices have stabilized over the last month or so hovering between $65-66 a barrel. If this price level is maintained or even if there is a minor spike, OMCs would well be a position to absorb the loss without the government having to take any other measure. State-run fuel retailers Indian Oil Corp. Ltd, Bharat Petroleum Corp. Ltd and Hindustan Petroleum Corp. Ltd switched to daily price revision from a fortnightly pricing system in June 2017 as the government sought to further the pricing reforms in the sector when prices remained subdued.